Former Shanghai Dragons player Ado is going to Washington. Overwatch League roster announcements keep rolling out ahead of the 2019 season start. 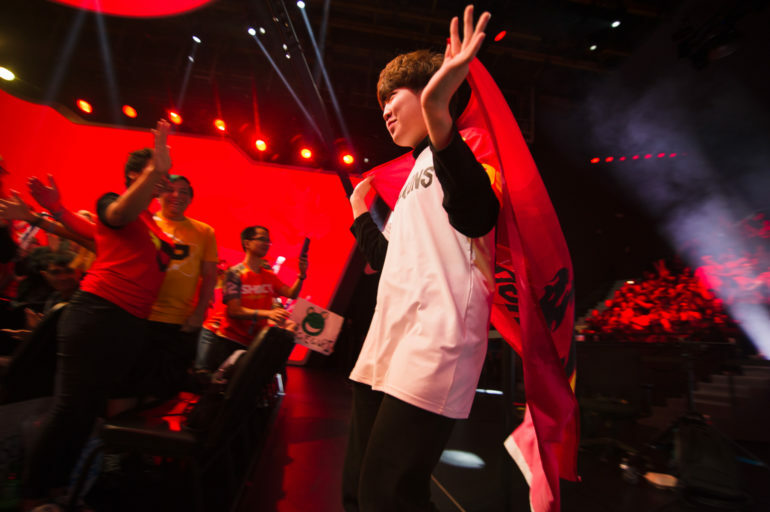 Washington Justice announced its roster yesterday, adding former Shanghai Dragons DPS Chon “Ado” Gi-hyeon to round out the team. Seoul Dynasty, on the other hand, added another player, flex DPS Kim “FITS” Dong-eun. Ado joins support players Riley “Fahzix” Taylor, Mun “Gido” Gi-do, and Cho “Hyeonu” Hyeon-woo, DPS players Corey Nigra and Ethan “Stratus” Yankel, flex player Kim “SanSam” Hyang-ki, and tank player Song “Janus” Jun-hwa. The full eight-player team is now announced. Seoul Dynasty’s new DPS player joins the Overwatch League from Korean team Goin Water S, an Overwatch Contenders Trials team. Previously, he played for GC Busan LUCIA. The addition of FITS brings Seoul Dynasty’s player total to 10. The Overwatch League’s first-week schedule was announced last night. Seoul Dynasty will make its 2019 season debut on Feb. 14 against Los Angeles Gladiators. Washington Justice plays first on Feb. 16 against New York Excelsior. During the Overwatch League preview stream, Blizzard revealed that “some” games will be played at teams’ home stadiums in the 2019 season. Reports suggest the Overwatch League will transfer to a fully city-based structure in 2020, but that remains unconfirmed. The 2019 road schedule is a baby step toward the league’s eventual travel schedule.